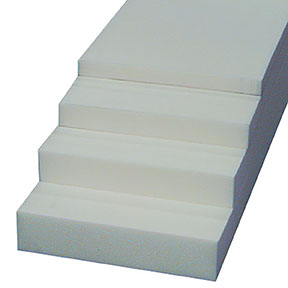 Product Description 4"x22"x88" Qualux Firm Q41 Foam is part of a family of high resiliency foams that meets your demands for consistency, longevity, comfort and support. Qualux has a soft surface, yet firms up quickly when compressed, providing proper body support in all seating applications. With the consistency of Qualux, you can be assured that each cushion will sit exactly like the next. A great product name in in the industry for 40 plus years.